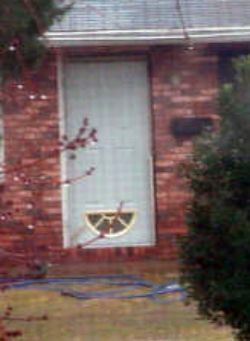 So you went and bought a fancy new door for your house and then when you went to hang it you discovered that it opened from the wrong side for your door frame? No problem…just hang it upside down. It gives the cat a good view that way.